Mobile World Congress, or MWC to its friends, is the largest mobile trade show of the year. It’s where we’ve seen some of the biggest handset launches over the past few years and 2016 has been no different. Some of the expected announcements didn’t appear and some of the highlights came from unexpected quarters. Here’s everything that happened at MWC 2016 that you need to know about. Alcatel made a big move at MWC, ditching the OneTouch part of its name, for a cleaner presentation of its brand. It’s now just Alcatel. It also used the show to launch the Idol 4, it’s latest high-end smartphone that wants to offer an alternative to the mainstream players. There’s a quality feel to this handset, with a metal and glass constuction, a far cry from the cheap plastic handsets the company was once known for. There are two versions, the regular Idol 4 and the more advanced Idol 4S, the latter of which offers a 5.5-inch Quad HD display. There’s also a neat arrangement of JBL speakers, promising stereo sound whichever way round the phone is. However much of the conversation around the Idol 4 came from some clever packaging. Rather than giving you a disposable box, the packaging is actually a VR headset, so you can jump on the Google Cardboard bandwagon. Mobile World Congress didn’t see a huge number of wearables launched. 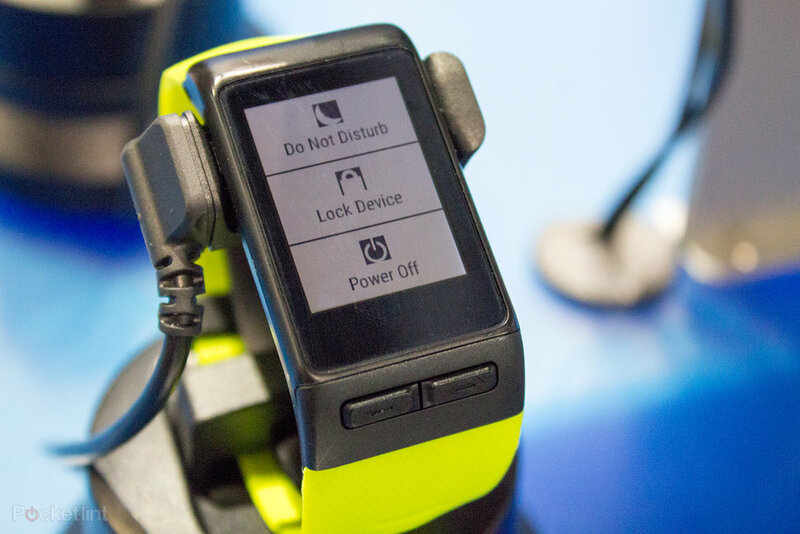 But one company that did show off an upgrade was Garmin, with the new Vivoactive HR. Garmin has been producing sports devices for a long time and the Vivoactive blurs the line between fitness tracker and sports watch. With the addition of an optical heart rate scanner, it’s more fully-featured than the last iteration, offering GPS tracking and motion tracking for plenty of different sports types. It also offers smartphone notifications, so it’s a step closer to smartwatches than some of the other sports devices on offer. This is likely to be a popular option as a one-stop shop wearable, offering mature sports functions, as well as wider connected features. 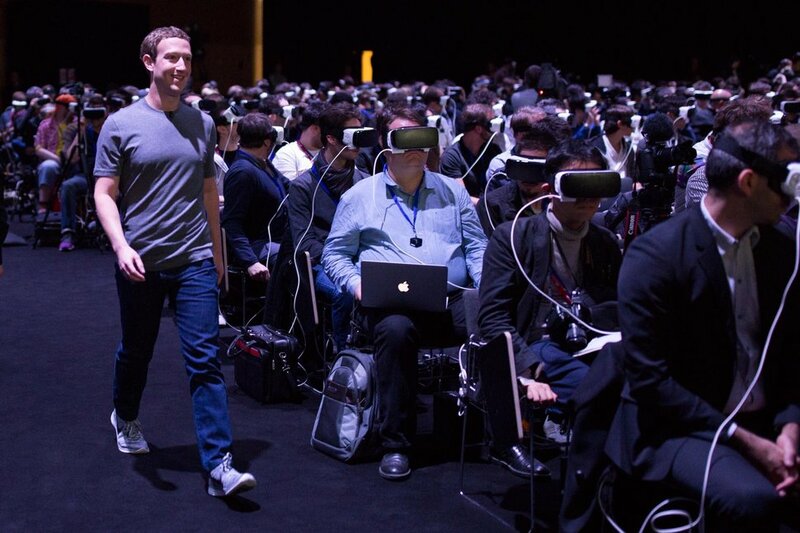 Facebook’s Mark Zuckerberg turned up on stage at the Samsung Galaxy Unpacked event to confirm a couple of things Facebook related, and to pledge his support for the Samsung Gear VR. The headset for the Galaxy line of smartphones is partly powered by Oculus, which is owned by Facebook, and is a good gateway product to the more advanced Oculus Rift that goes on sale in the next couple of months. Excited by the prospect of 360 video and the chance for more people to watch it, especially on Facebook, the company has created a new “Social VR team” at Facebook that will focus entirely on exploring the future of social interaction in VR. According to Zuckerberg, this team will explore how people can connect and share using today’s VR technology, as well as long-term possibilites as VR evolves into an increasingly important computing platform. They’ll also work closely with Oculus and other teams at Facebook to build the foundation for tomorrow’s social VR experiences on all platforms, according to the CEO. In related news, the founder of Facebook also confirmed that Minecraft would be coming to the VR platform. 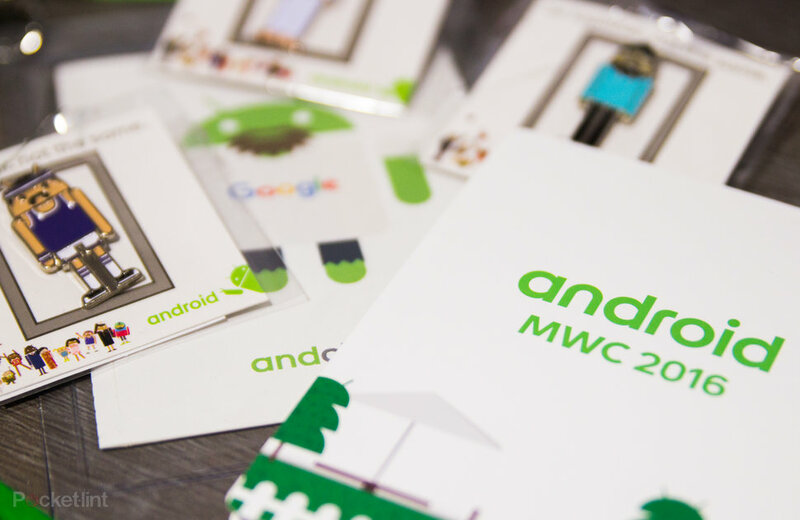 Google’s Android seeps into almost every hall and aisle at MWC. This year there’s an Android Garden, with Google running its regular pin badge fun. There were 87 badges being eagerly collected by attendees, all hoping to get a full set and be able to collect bronze, silver and gold pin badge prizes. So it’s not an announcement of exciting, instead it’s a bit of fun. Yes, there’s Android appearing in new devices from the likes of Samsung, Sony, LG and many others. As for Android N, we wouldn’t expect to hear anything until Google I/O in May. 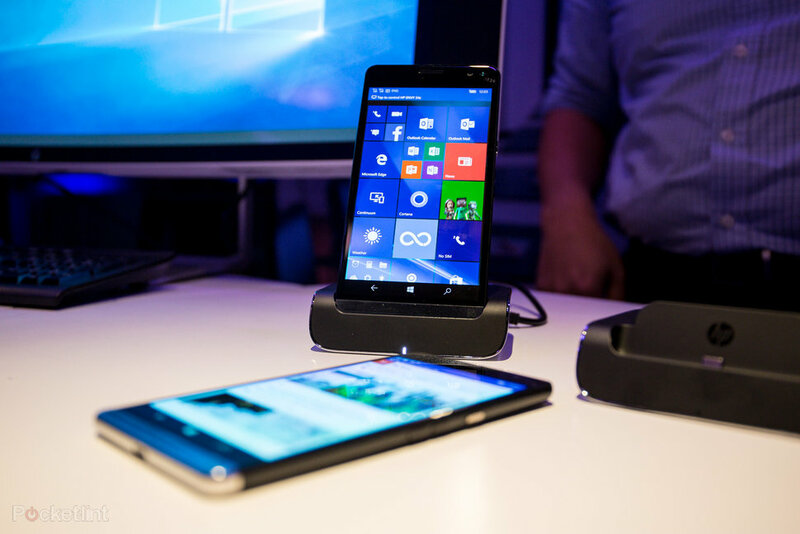 HP used MWC to announce a new 6-inch phablet that plans to use the power of Windows 10 to its full advantage. The HP Elite X3 is a 6-inch device that can, through the use of a couple of optional accessories, also become a desktop PC and/or notebook. The smartphone will be powered by the new Qualcomm Snapdragon 820 processor, which will be supported by 4GB of RAM, as well as feature Bang & Olufsen speakers and a huge 4,150mAh battery. Rather than launch a new flagship, HTC has launched three mid-range phones at Mobile World Congress in Barcelona this year that adds to the Desire range. The company announced the Desire 530, Desire 630 and Desire 825, as well as a bringing the HTC One X9 to Europe after its launch in China in December 2015. 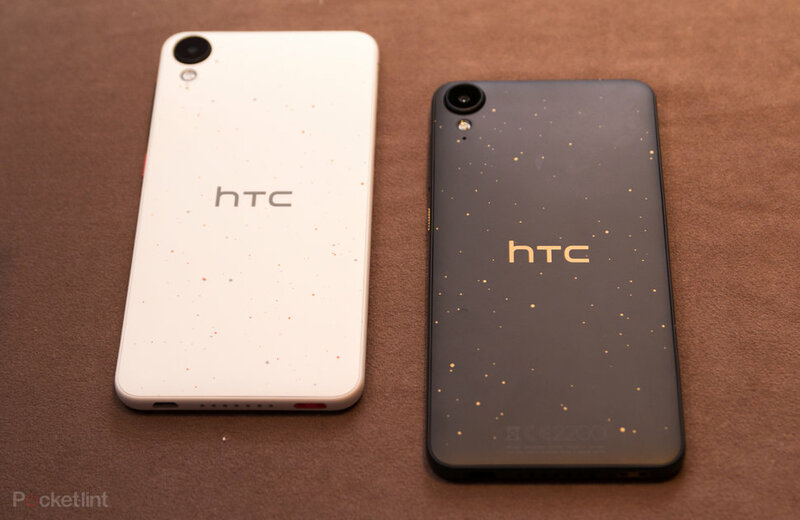 The specs of the Desire models are average, aside from Hi-Res Audio support, but they offer a distinctive new finish that HTC has unveiled, called Micro Splash. Rather than just giving you a single colour, Micro Splash sees a spray of colour scattered across the handset for a totally unique finish. But the biggest news from HTC was about HTC Vive. The company unveiled the final version of the top-spec VR system, confirmed the pre-order price of $799 and the date of 29 February. Demos were given, participants were wowed, and everyone is saving pennies. Huawei is making waves in the smartphone industry, having seen great gains, and producing some really strong handsets in 2015 with the Nexus 6P, Mate S and the 2016 launch of the Mate 8. With all those big new handsets, it’s decided to turn its focus on tablets for Mobile World Congress. Rather than launch the Huawei P9, it has instead launched a dual-boot notebook. The MateBook goes firmly after the iPad Pro and Surface 4 with its detachable keyboard cover and MatePen stylus, the latter of which triples up as a laser pointer and projection clicker. A 12-inch display with a 2160 x 1400 resolution is on board, alongside a full metal body that measures just 6.9mm slim and hits the scales at 640g. It also comes with a side fingerprint sensor for fast and secure unlocking. Prices start at €799 for the 128GB model, with 4GB of RAM and an Intel Core M3 Processor. The top of the line 512GB model, with 8GB of RAM and an Intel Core M7 processor will retail at €1,799. We’re still awaiting UK prices. 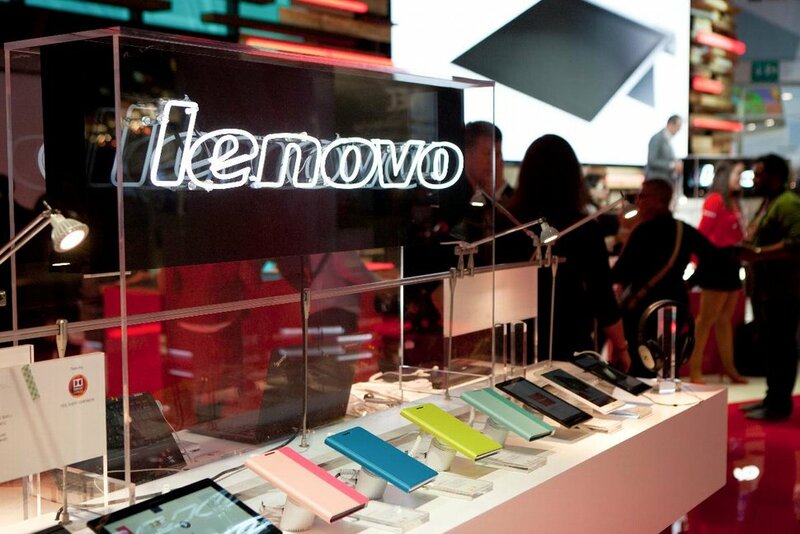 Lenovo’s MWC has consisted of a number of mid-range products to fill any remaining gaps from the splurge of products it has already launched in 2016. There is the TAB3 10 Business, an Android tablet engineered for business use, alongside the TAB3 7 and TAB3 8, which belong to Lenovo’s first series of family-friendly tablets. There are also two new consumer Windows 10 PCs: the YOGA 710 and 5101 convertible laptops, and the ideapad MIIX 310 2-in-1 detachable tablet. If that wasn’t enough, the company announced a new global wireless roaming service called Lenovo Connect. It says it will now offer a seamless communication service that works across devices, networks and borders for customers in China, Europe, the Middle East and Africa. According to Lenovo, the new service “eliminates having to buy a separate SIM card and offers benefits such as low-priced global roaming”. As for Motorola, ahead of the show the company announced a new range of connected accessories dubbed VerveLife. LG announce its next flagship – the LG G5 – at MWC. The new handset is a huge step-change in design. It is modular in nature, has a Quad HD display, dual camera on the rear, and comes with a metal body with a removable battery. The LG G5 isn’t the only announcement from LG from the show however. 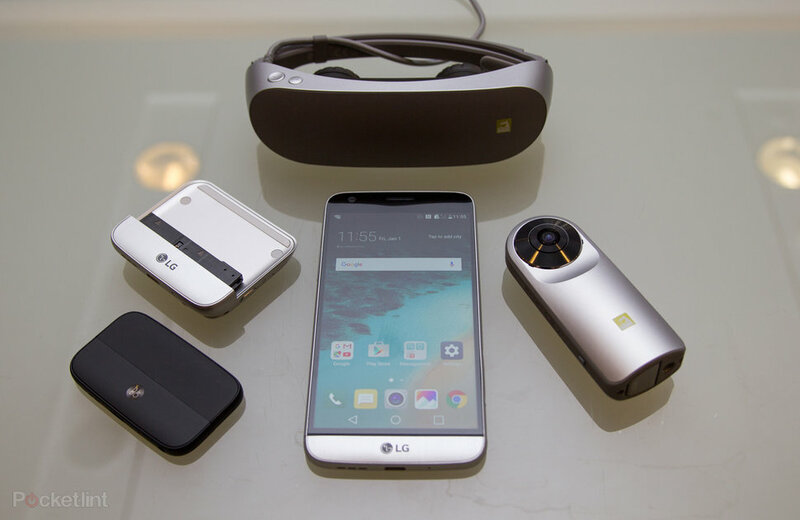 There’s a new line of accessories including a VR headset LG 360 VR Headset, a 360 camera LG 360 Cam, and bolt-on accessories like the LG Cam Plus and the LG Hi-Fi Plus. The two bolt-on accessories take advantage of the G5’s modular nature. The LG Cam Plus is a companion for the camera. It provides better grip, gives you a shutter button and video button, offers an analogue zoom dial, as well as boosting the battery life. Then you have the LG Hi-Fi Plus. This has been produced and tuned in partnership with B&O Play. It’s a 32-bit DAC and amp, giving you high quality audio, but seamlessly integrated. It makes your phone a little longer, but it’s much more convenient than carrying a separate DAC. Finally (yes, there’s more), LG has shown off the LG Rolling Bot. This is probably as close to BB-8 as you’re actually going to get, without buying BB-8. The LG Rolling Bot connects to your home Wi-Fi network and is controlled via your phone, and yes, you can control it from anywhere in the world. There’s currently no word on pricing, although i’m expecting devices to start appearing in early April. 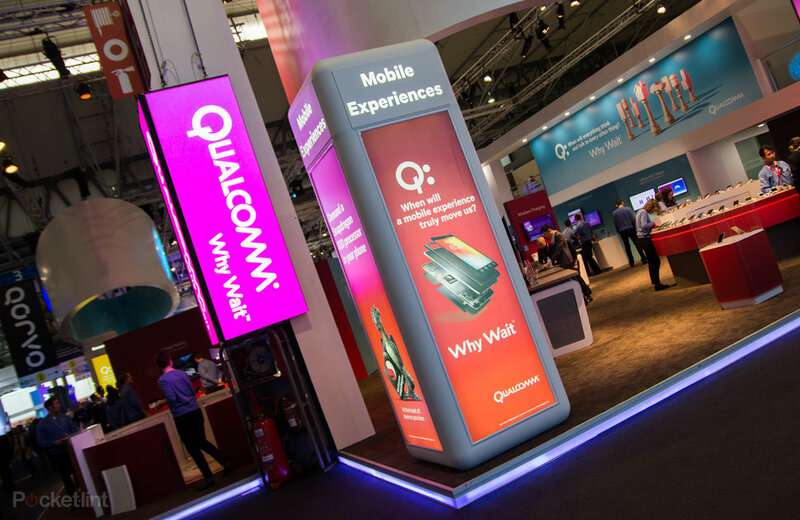 Qualcomm at MWC is all about Snapdragon 820, its new chipset that’s making its way into the latest smartphones. 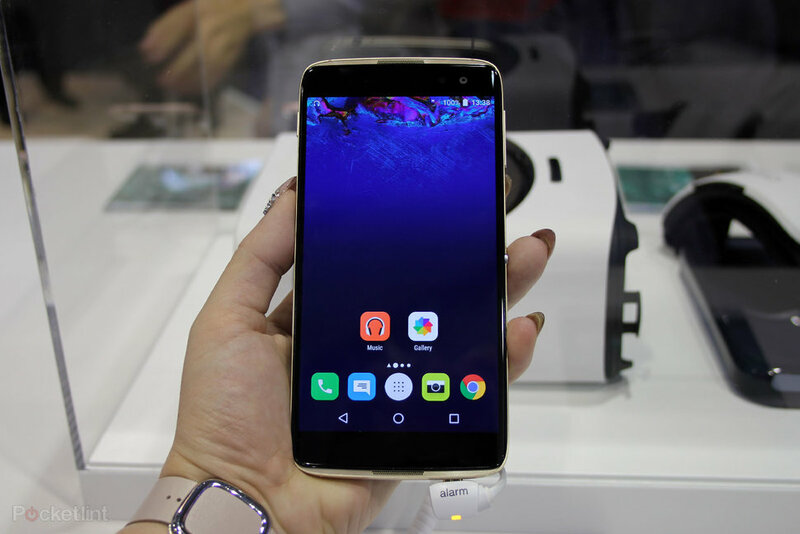 Until now, we’ve only known about the LeTV Le Max Pro, launched at CES 2016, but now you can add the LG G5 and Samsung Galaxy S7 to that list. Talk of Snapdragon 820 has been very positive, with many manufacturers saying how powerful it is. On the VR front, Qualcomm has told Pocket-lint that it should be able to cut the umbilical to the desktop computer with next-generation Qualcomm Snapdragon hardware. Talking in a Q&A session at the opening of Mobile World Congress 2016, Steve Mollenkopf, Qualcomm CEO, said that “next-gen snapdragon will bring a lot of desktop type scenarios in mobile devices,” and that Qualcomm recognised that in many cases, GPU enhancement was more important that CPU. Elsewhere, Qualcomm is talking about the road to 5G, suggesting that the target date of 2018 for prototyping is on track, with products looking towards 2020. There’s a long way to go, but Qualcomm’s message is that the latest advancements to Gigabit speeds through LTE Advanced and the X16 modem, recently released, take a step towards the 5G future. During its Samsung Unpacked event on the eve of the MWC show, Samsung unveiled the two smartphones that have been subject to many a rumour and leak over the last few weeks. The Samsung Galaxy S7 is a 5.1-inch smartphone, with an octa-core processor thought to be the Snapdragon 820 considering the specifications. It also has a dual pixel 12-megapixel rear camera, that is capable of extremely clear shots, even in very low light conditions. The phone is water and dust proof down to 1.5 metres for up to 30 minutes, and the front-facing camera is 5-megapixels. Another of the big new selling points is its always-on screen, which displays the time, date, notifications or a personalised screen at all times, yet uses very little battery power. 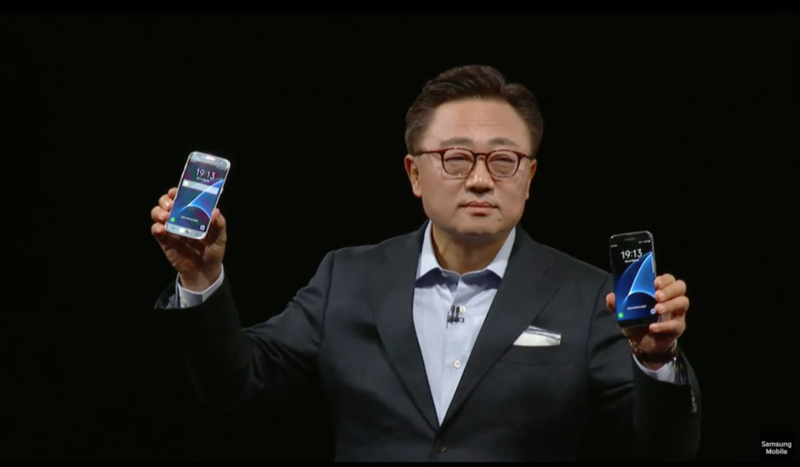 The Samsung Galaxy S7 edge has almost identical specifications, save for a larger battery and screen. The curved display is 5.5-inches instead. Samsung also unveiled a 360-degree consumer camera for stills and video to be used in VR headsets. It has two 15-megapixel sensors, with front and rear lenses. The Gear 360 works with a dedicated smartphone app to stitch the images or footage together, which can then be viewed on a Samsung Gear VR headset or posted onto websites such as YouTube and Facebook. Sony used its Mobile World Congress press event to release two new “slightly higher than mid-range” handsets called the Xperia X and the Xperia XA. The new phones both focus on the camera, battery and design. The Sony Xperia X comes with the Qualcomm Snapdragon 650 processor under the hood, while the Xperia XA offers an edge-to-edge display. Both will come in white, graphite black, lime gold and rose gold for Summer 2016 but prices have yet to be detailed. 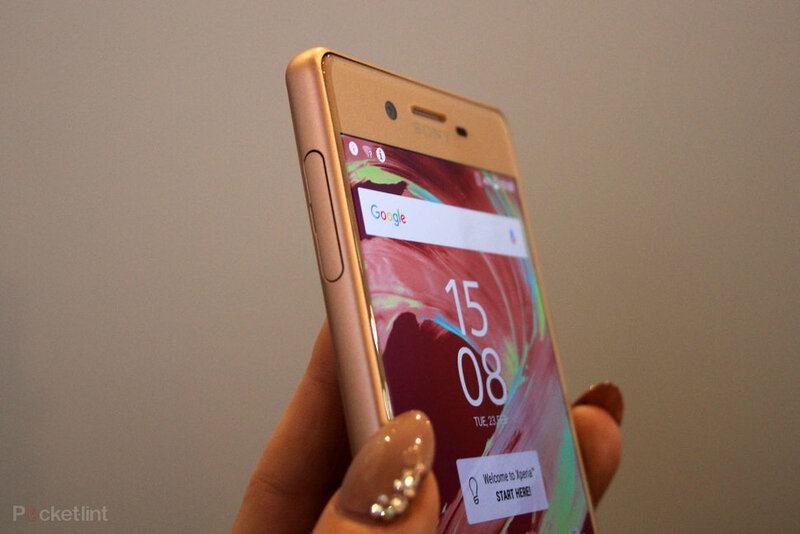 But what wasn’t really talked about was the Xperia X Performance, a higher-spec handset that’s not yet slated for an international launch. It then emerged that Sony might might be retiring its Z family, and moving forward with the X series. We suspected that these X series models were a trial of a slightly new design: we’d now expect the X Performance to get updated and appear as a new flagship at IFA 2016. Xiaomi used Mobile World Congress to launch a new flagship smartphone, which in itself is noteworthy. The company has never launched at the show and it’s a strong statement of intent in how it wants to be seen internationally. The Xiaomi Mi 5 runs on Qualcomm’s Snapdragon 820 chipset, has a 5.15-inch full HD display and offers a premium design, fusing metal and glass, with a Pro model using ceramic for an even higher quality finish. It was the highlight of the latter stages of MWC, with an announcement timed to be clear of the big launches of LG and Samsung. This is a handset that’s expected to be half the price of those mainstream rivals, but we’re yet to see how and if it will be ranged internationally. So far China and India are on the cards, with a release date of 1 March. 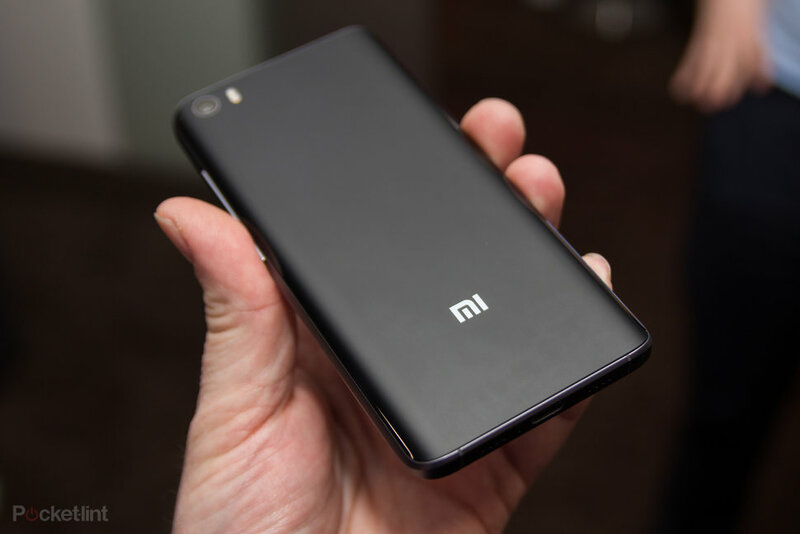 We think we’ll be hearing a lot more from Xiaomi in 2016. 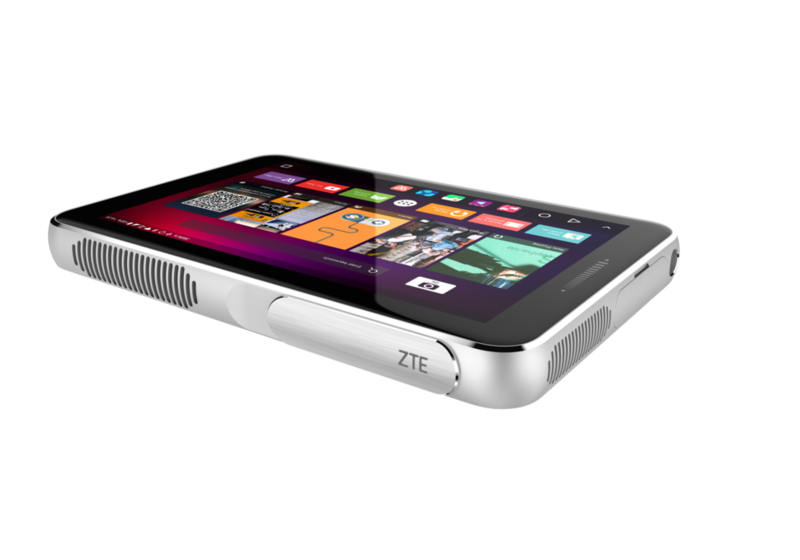 ZTE has used its Mobile World Congress appearance to show off a number of new devices ranging from smartphones to a projector that is also a tablet to even a smartwatch designed to help you find fish when you are fishing. The Blade V7 smartphone features a 5.2-inch screen, octa-core chipset, 4G LTE plus, 2GB of RAM and a rear 13-megapixel camera. It will be available in Germany, Spain, South Africa, Ethiopia, and Mexico by summer of 2016. Those looking for something a little smaller and less powerful can opt for the Blade V7 lite that comes with a 5-inch display. This model comes with a circular fingerprint scanner for security and will first launch in Russia before becoming available in Mexico, Spain, Germany and Thailand by spring 2016. The Spro Plus is an 8.4-inch Android AMOLED touch-screen with 2K resolution, paired with a whopping 12,100mAh battery and a built in 500 lumen projector capable of projecting an image up to 80 inches across from 2.5m away. On the wearables front new offerings from ZTE include a standard looking Android Wear smartwatch, intelligent jewellery and the ZTE D1 Fish smartwatch & Fish Finder which as the name suggests will help you find more fish next time you are fishing.